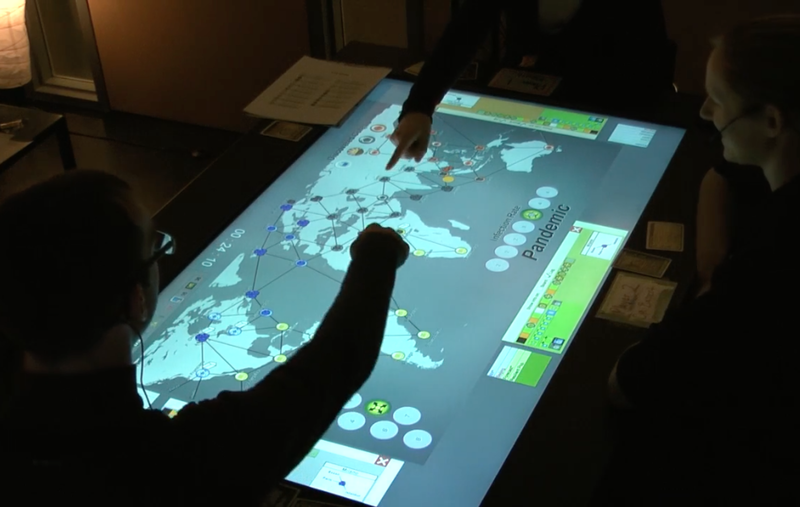 Digital tabletops provide an opportunity for automating complex tasks in collaborative domains involving planning and decision-making, such as strategic simulation in command and control. However, when automation leads to modification of the system’s state, users may fail to understand how or why the state has changed, resulting in lower situation awareness and incorrect or suboptimal decisions. Most of the current digital tabletop applications only focus on providing feedback of current situation rather than historical events. The aim of this work is to support situation awareness in collaborative systems with automation in tabletop environments, so that groups can perceive changes in the system, comprehend them, predict future events, and, ultimately, make optimal decisions. We investigated the design of an interactive event timeline which enables exploration and analysis of automated system actions in a collaborative environment. We use a collaborative digital tabletop board game to illustrate this design concept. Two open questions regarding the design of the interactive event timelines relate to who can access the timeline (i.e. timeline placement) and to where the event feedback should be provided when someone interacts with a timeline action block (feedback location). Regarding the place, one timeline can be shared among players or dedicated to each individual. In terms of the feedback location, the event feedback can be placed on the timeline itself, on the game board area, or in both places. Our user study showed that players’ amount of interaction with the timeline was correlated with improved situation awareness. Moreover, displaying feedback both on the game board and timeline was the most preferred. The next step of the study is to conduct further analysis to understand how the players gather situation awareness with different timeline setups. 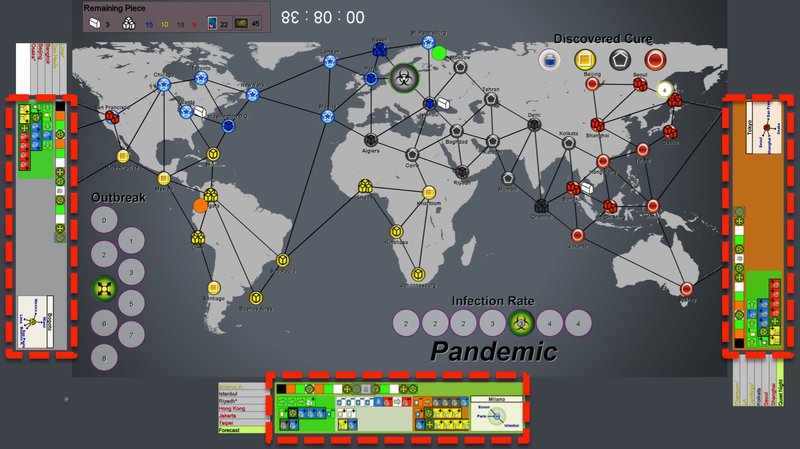 Digital tabletop version of the board game Pandemic: with individual timelines for each player shown during play (left) and a screenshot of the interface, with the timelines highlighted in red (right). Chang, Y.-L. B., Mengual, M. , Parfett, B., Graham, T.C.N. , Hancock, M., and Scott, S.D. 2013. Improving awareness of automated actions using an interactive event timeline. In Proceedings of the 2013 ACM international conference on Interactive tabletops and surfaces (ITS ’13). ACM, New York, NY, USA, 353-356.